Joined the tour from chasinglights. The experience was incredible and tour guide tries their best to chase the lights. Even though we didn't see it on our first night, we joined again on the second night. They even help to take pictures and send it to you at the end of the trip. 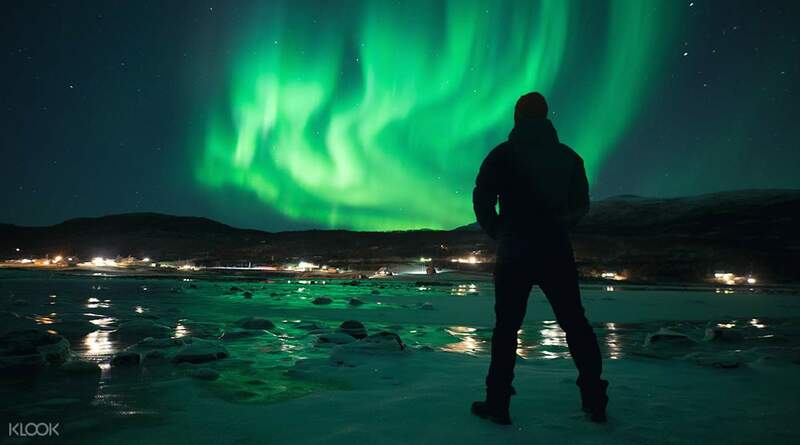 When in Tromsø, make sure to take the opportunity to go chase the legendary Northern Lights known as the Aurora Borealis. 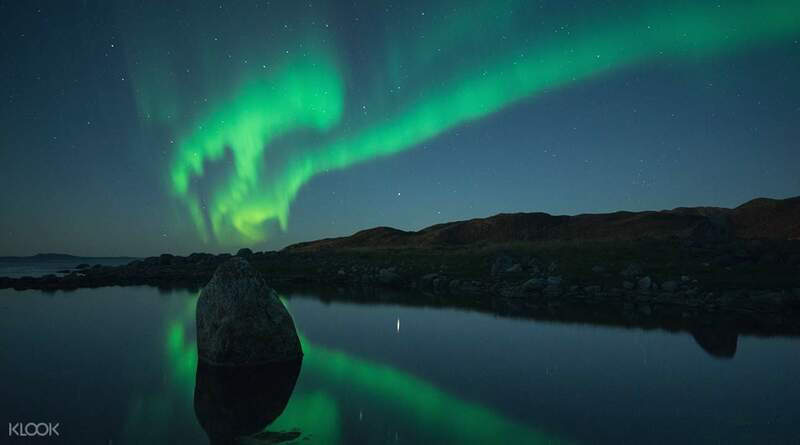 Hop on a comfy, air-conditioned bus with veteran photographers, travel through the Norwegian Arctic countryside, and admire the beauty of the vast snowy landscapes in search for the best weather conditions that night. Even though it's cold, you don't have to worry about freezing because you'll be given some snacks and hot drinks to keep yourself warm as you look for the lights. While you're riding the bus, photographers will share their experiences regarding the times they went chasing the lights and they will share tips on how to get the perfect shot of it. You'll be taken to a wonderful vantage point that'll give you a good view of the lights, so make sure to ready your camera and remember the tips that the photographers gave you once you spot the lights. Every traveler should have the Aurora Borealis on their sightseeing checklist! The Best Chase ever...Sarah, Claire and Marcin left no stones unturned to make sure we get the best northern lights view. We drove across the Finnish Border in search of clear sky and better weather conditions. Initially the aurora was not strong but grew stronger over time. We even witnessed the dancing lights and different colours. Thank you Chasing Lights for the best Northern Lights chase. Cheers!!! The Best Chase ever...Sarah, Claire and Marcin left no stones unturned to make sure we get the best northern lights view. We drove across the Finnish Border in search of clear sky and better weather conditions. Initially the aurora was not strong but grew stronger over time. We even witnessed the dancing lights and different colours. Thank you Chasing Lights for the best Northern Lights chase. Cheers!!! Meda, Elisa, Jarek & the team at Chasing Lights have exceeded my level of expectation of them and were very professional indeed! 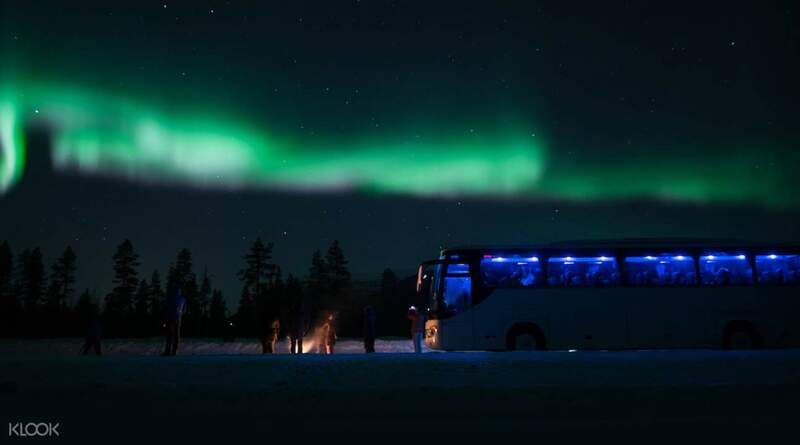 When I booked the tour, I was expecting us to just hop on the bus, travel to the location and wait for lady aurora to appear overhead. Boy, I was amazed at their level of enthusiasm from the minute we meet up till the end. Fully organized, experienced and to me, personalized indeed. Thumbs up for the team! Definitely recommended. Meda, Elisa, Jarek & the team at Chasing Lights have exceeded my level of expectation of them and were very professional indeed! When I booked the tour, I was expecting us to just hop on the bus, travel to the location and wait for lady aurora to appear overhead. Boy, I was amazed at their level of enthusiasm from the minute we meet up till the end. Fully organized, experienced and to me, personalized indeed. Thumbs up for the team! Definitely recommended. Joined the tour from chasinglights. The experience was incredible and tour guide tries their best to chase the lights. Even though we didn't see it on our first night, we joined again on the second night. They even help to take pictures and send it to you at the end of the trip. Joined the tour from chasinglights. The experience was incredible and tour guide tries their best to chase the lights. Even though we didn't see it on our first night, we joined again on the second night. They even help to take pictures and send it to you at the end of the trip. Our guides Herman and Liam were very enthusiastic throughout the trip. The group was drove all the way into Finland to chase the light. The bus stopped at a point where the sky was clear and lots of stars were seen. Before we know, the lights appeared and danced in the sky. The lights were more visible in picture than when viewed with our eyes. Our guides Herman and Liam were very enthusiastic throughout the trip. The group was drove all the way into Finland to chase the light. The bus stopped at a point where the sky was clear and lots of stars were seen. Before we know, the lights appeared and danced in the sky. The lights were more visible in picture than when viewed with our eyes. Thank you Liam, Meda, Pawel and the rest of the team of Chasing Lights. This tour is well planned and organised which made everything smooth from the pick up point down to chasing the northern lights. Its great to know that they work as a team to know where are the best spots to see it. Shout out to Liam and Meda who were both relentless and making everyone positive to go catch and see the northern lights. Thank you Liam, Meda, Pawel and the rest of the team of Chasing Lights. This tour is well planned and organised which made everything smooth from the pick up point down to chasing the northern lights. Its great to know that they work as a team to know where are the best spots to see it. Shout out to Liam and Meda who were both relentless and making everyone positive to go catch and see the northern lights. The activity was amazing...we managed to catch the northen lights as well as the dancing lights. Just that the bus is pack for that night so we are not able to receive much chance to take our photos and there's no interaction. However, it was a great experience. The activity was amazing...we managed to catch the northen lights as well as the dancing lights. Just that the bus is pack for that night so we are not able to receive much chance to take our photos and there's no interaction. However, it was a great experience. We seen aurora dancing in the sky, also nice guide and hot chocolate, perfect ! We seen aurora dancing in the sky, also nice guide and hot chocolate, perfect ! We didn’t manage to catch the northern lights that night after 9 hours chase to and fro tromso city. The guide are nice and upbeat and keep us updated of the weather conditions. We didn’t manage to catch the northern lights that night after 9 hours chase to and fro tromso city. The guide are nice and upbeat and keep us updated of the weather conditions. I had a fantastic experience chasing the lights with the amazing crew! Thank you for making my dream come true. I had a fantastic experience chasing the lights with the amazing crew! Thank you for making my dream come true.